Check out that gorgeous hull! Silent Wings a 2009 Jeanneau Sun Odyssey 54 DS, is a fully coded high specification yacht with a visible ´wow´ factor, offering smart and comfortable accommodation. Beautiful organic Aromatika toiletry products complimentary for guests Onboard Yoga and massage-based ´De-stress and Relax sessions´ helps to ensure complete relaxation. IS THERE ONE SPECIAL PORT YOU´D LIKE TO REVISIT? I´d like to revisit Nuka Hiva in French Polynesia, mid Pacific, a verdant mountainous island where the ancient Peruvians landed many centuries ago. I could say the stand-up paddle boards or the snorkeling gear, but best of all is the fishing gear, with which I recently landed a 20kg Wahoo measuring 5´6´ long! Take a look at our photos! Absolutely! I have personal experience with special diets. My daughter has a serious peanut allergy. Also, I previously managed the kitchens for a group of four children´s nurseries. However, the challenge in the Caribbean is proper provisioning, so I ask for as much advance notice as possible. Send us an inquiry to get specific pricing for Silent Wings. Thank you for a fabulous couple of days! We’ve thoroughly enjoyed our mini sailing adventure – the islands, the hospitality and the comfort of the boat were just perfect. You have been wonderful and we’re so happy to have joined you as part of our honeymoon. January 2018 - Fantastic Experience! Fantastic experience, hosted by an excellent crew who catered for our every need. Having some Sailing experience, it was a privilege to watch such a professional Skipper and First Mate in action. Beyond the Sailing, the food and drink on board was exceptional. Thank you both for a great time. January 2018 - An Amazing Time! Thank you Steve and Sally for an amazing virgin Sailing experience in the Caribbean. We had an amazing time and enjoyed your hospitality and readiness to always accommodate our needs during this fabulous experience on the Silent Wings Yacht. Great start to 2018 on your yacht! Thank you! December 2017 to January 2018 - Trip of a Lifetime! Well, AMAZING, would be a start.... really was the trip of a lifetime... we had an absolutely blast. Sally and Steve were amazing, what a great combination for that role. They both went out of the way to make it a very special trip. Crystal and I and our guests cannot say enough good things about the trip. It really was very special and we loved spending time with Sally and Steve. For me the most amazing thing was how good the food was despite the challenges in provisioning in the islands. Sally was a spectacular chef. December ‘17/January ‘18 - Truley Magical! Dear Sally and Steve, our experience onboard Silent Wings has been truly magical. If we did it over again, there is not one thing we would change. Your company is delightful. Every moment was elevated by your kindness and passion for life on/off the water. Thank you for sharing your Christmas and New Years! Dear Sally and Steve, you were wonderful hosts. This has been an unforgettable holiday. The food was out of this world and I felt looked after and cared for every moment of every day. I appreciated the wealth of information, the good humour and the excellent company. Thank you! Dear Sally and Steve – perfect mix of adventure and leisure and safety. Perfect food, hospitality on a beautiful yacht. Thank you, thank you, thank you! Another gorgeous 2 weeks aboard the luxurious Silent Wings. A boat where the service is first class and the experiences unique and special every day. Thank you so much for all your thoughtfulness, care and attention. Words can’t begin to describe how much we enjoyed our 10 days sailing with you! It truly was beyond our wildest dreams and expectations. You are both truly special people and we will not only miss the “carrib”, but also your company and a friendship we will always keep with us!! We say goodbye for now, but know we will be back!! Steve & Sally, our newest dearest friends! For me, another wonderful time in the Caribbean; the islands are just as wonderful as I remember 28 years ago. Fortunately little has changed. Long may it remain so! Sorry, one thing has changed. The wind!! I loved the sailing and Tim put up with it for me. Both Steve and Sally love sailing and one cannot but feel safe with them. Wonderful professional sailors; totally safe with them whatever the wind. Steve and Sally couldn´t do enough for us. They were wonderful hosts. Thank you. Another ´thank-you´ to Steve; I had what I call a ´sheep dog´ rounding me up and checking on me in the water. It was very reassuring for Tim. February 2017 - First Class! Experience of a lifetime. All kinds of weather. 5* cooking. First class sailing and hospitality. 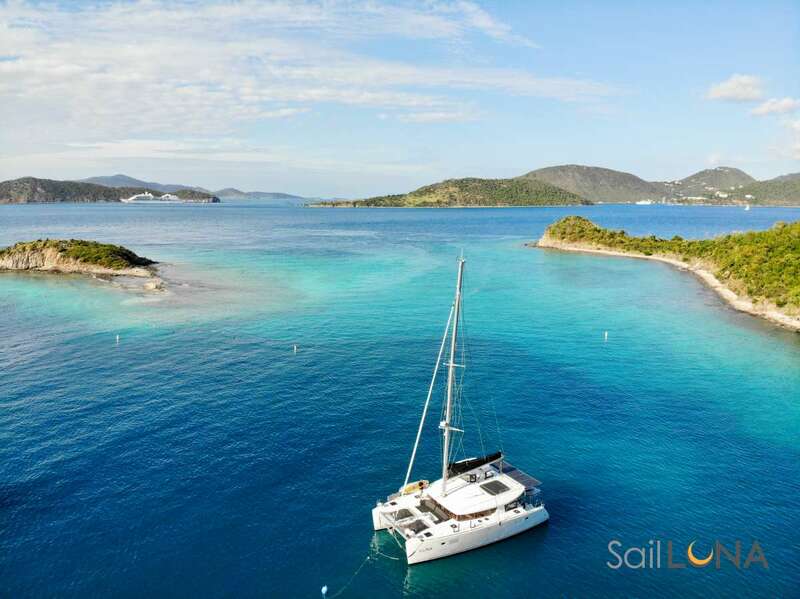 What a fantastic way to explore the Grenadines aboard a luxury 54 foot yacht. You are the most generous of hosts and very skillfully guided us around the most beautiful islands from Grenada to Bequia. We were always in safe hands and were spoiled with wonderful food, potent rum punches and their wonderful company! Thank you so much! January 2017 - A Wonderful Adventure! Outstanding voyage. Your hospitality put us ´Southerners´ to shame. Thanks for the trip of a lifetime. January 2017 - Fabulous Honeymoon! There are not enough superlatives to describe ´Silent Wings´ and Sally and Steve´s kindness, professionalism and charm. We were lucky enough to be aboard last year (28.12.16) and got engaged. We came back for our honeymoon. Sailing, watching the world go by at 7 knots, and actually gybing (!!) twice, is just fabulous. Superlatives are simply not enough; thank you so much. Thank you for having us. You made this holiday wonderful; loved the meals and my parents loved the drinks. Dear Skipper Steve and Mrs Skipper Sally, Can´t thank you enough for your wonderful guidance and hospitality. We had a fabulous five days as a family, thanks to you both for organizing our days, for our utmost comfort and enjoyment. Our true introduction to sailing was quite an adventure, we enjoyed every bit of it (even the rolly bits!) and Antoine chirped up in between his seasickness (smiley face). The boat is true luxury, the homemade food truly delicious and the sailing truly ´awesome´. Thank you from the bottom of our hearts! a bientot. July 2016 - Excellent Adventure! 204 miles, 5 countries and 9 days of sailing bliss! Dearest Sally and Steve, thank you for making our dream happen. You so graciously accepted our charter, and then took our vision of this holiday to new heights! It was such a wonderful balance of adventure sailing and restful enjoyment of 5 different countries; then all taken to a level of luxury and excellence that is unsurpassed! Somehow, you met our dietary restrictions and stilled whipped up spectacular meals and cocktails! I would like to say that the clean eating was the highlight of the trip, but then there was the yoga on deck, the deck cushions and the sunbathing, the snorkeling, and of course, the sporty sailing and repeated gulley washes! You two have been the perfect balance of kind, hospitable, professional, competent and fun. We will forever treasure this trip and are hoping to meet up again soon to sail yet more parts of this lovely with y,all. June 2016 - Memories to last a Lifetime! Thanks to our amazing Captain Steve and First Mate Sally for a sailing adventure from Grenada all the way north to the BVI. What an exciting opportunity for Paul to sail on his dream boat with all the trimmings! I thoroughly enjoyed the luxury and delicious food whipped up so easily by Sally´s scrumptious feasts! The memories of the blue coves discovered by Silent Wings with cold bubbly and great snorkeling, are memories to last a lifetime! March 2016 - Our Honeymoon! Many thanks, Sally, Steve. Our honeymoon was absolutely spectacular. Our time on Silent Wings was just perfect. Both of you provided an exceptional experience and we appreciate your dedication to excellence..we will share our experiences with everyone back home. Thank you! February 2016 - Over the Top! Karl & I enjoyed a wonderful time on the Silent Wings yacht, especially the extraordinary hospitality and kindness that they showed to us. Our every need was accommodated (except in the failing winds) very unusual for January, we are told). The ´over-the-top: service included a ´Rube Goldberg´ engineering invention developed and implemented especially for our comfort by Steve and Sally! Karl, whose background is in marine engineering was very impressed by the extraordinary maintenance of the boat and all of the safety precautions in place! Kudos to Sally for her excellent cuisine and organic cosmetic products and to the incredible elf who always made up and maintained our cabin the second we left it! Amazing! Thank you for making out first sailing holiday together such a wonderful experience; the bays and the beauty are beyond description; and being proposed to on Petit Rameau on New Year´s Eve was the icing on the cake! Looking forward to our next trip with you already! List of amazing things: Sally´s coconut cake, Sally´s coconut sauce, Sally´s bread, Steve´s rum collection!!!! Thank you!!! Sally and Steve made our time on board truly enjoyable. Their positive and laid back attitude makes Silent Wings a tranquil environment, creating a great Caribbean experience! Wow! Amazing! Great hosts, great food, great islands. Holiday of a lifetime! Steve and Sally make you feel welcome from the time you join the boat to the minute you leave. Along the way they take you to the most amazing places on earth!! Already saving the pennies for next year! Thank you Sally and Steve for the most amazing honeymoon. It has been an unbelievable experience. We couldnt have been looked after better, great hosts and great company. Fabulous islands to visit. You couldnt have made our experience any better. Thanks again. Hope to see you very soon. Steve and Sally were the perfect hosts from start to finish. Their competency in sailing the yacht was obvious, we always felt completely safe even when the conditions were less than perfect, the sailing was excellent and great fun! The yacht is a beauty, the master cabin was spacious and the attention to detail throughout is a credit to them, it is obvious they take great pride in keeping her in excellent condition. We were on our honeymoon and were pampered from start to finish, nothing was too much trouble, from taking us snorkelling, to dropping us off on a deserted beach to ferrying us to a waterside restaurant, we were made to feel very special. I would recommend this yacht for a romantic getaway and couples retreat. It is hard to believe we are disembarking after eight glorious days on Silent Wings. We have always wanted to explore the Grenadines and the Grenada Islands. Silent Wings sailed beautifully through any condition. Thank you for letting Bill share the helm and lines, a true joy for him. You were most gracious hosts. The yacht is in perfect condition, our stateroom even more luxurious. The Islands so charming and varied, beautiful, unspoiled. Wonderful meals were a delight. Fresh, local ingredients were such a treat. Tuna caught from the boat could not have been better. In June, when we celebrate #40 we will think of our champagne we shared with you on the Tobago Cays with grilled lobster, tuna and veggie. Bill said they had a wonderful time with you both. Steve and Sally are the perfect hosts. Extremely friendly, professional, competent and CALM at everything, from sailing in touch weather to fishing, snorkeling and more importantly, providing home-cooked delicious food and rum punch. We have thoroughly enjoyed our sailing holiday on this beautiful luxurious yacht. We loved the sailing, catching fish (mahi Mahi and barracuda) and eating it; seeing iguanas, swimming with turtles (Wow!) and watching the fish in the underwater lights at night! Amazing times and such fun. We loved tips on sailing and Sally is an amazingly patient teacher of tying knots etc. So patient! We have had the most amazing experience ever! Steve and Sally are amazing hosts, they work so hard to ensure that your every need is attended to. The sailing is exciting and their knowledge and experience means you feel you are in the best hands. The cooking is wonderful, varied and healthy, and sometimes I think you can even catch you own fish, although we were not so lucky this time! Plus the islands are beautiful, the water so clear. We loved swimming with the turtles and over the amazing reefs with so many colourful fish. I had never snorkeled before so learning to do that made the whole underwater experience even more amazing. The vacation has been an amazing 10th wedding anniversary, 50th and 40th birthdays. Thank you Steve and Sally we will definitely be recommending you to all our friends and anyone interested in visiting the Caribbean and travelling in luxury. Lunch on the beach in Bequia was wonderful! Steve, Julie and Georgia A.
Herbal teas, Coconut Loaf, Banana Cake and Flapjacks made to order to be available to guests throughout the day.